The primary action button and the settings area are optional. A primary action button is just a stylised button located above the navigation part of your app. 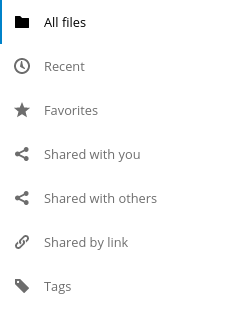 The goal is to have an homogeneity of design across all apps using this button. Stay simple, don’t use overcomplicated text in this button. Avoid using sentences longer than one line. 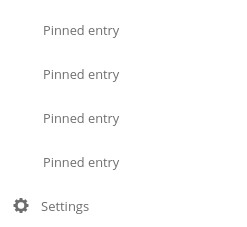 Do not edit the styling of this button. Only one button is allowed here.